You’ve heard the words ‘Internet of Things’ but aren’t really sure about what it is. 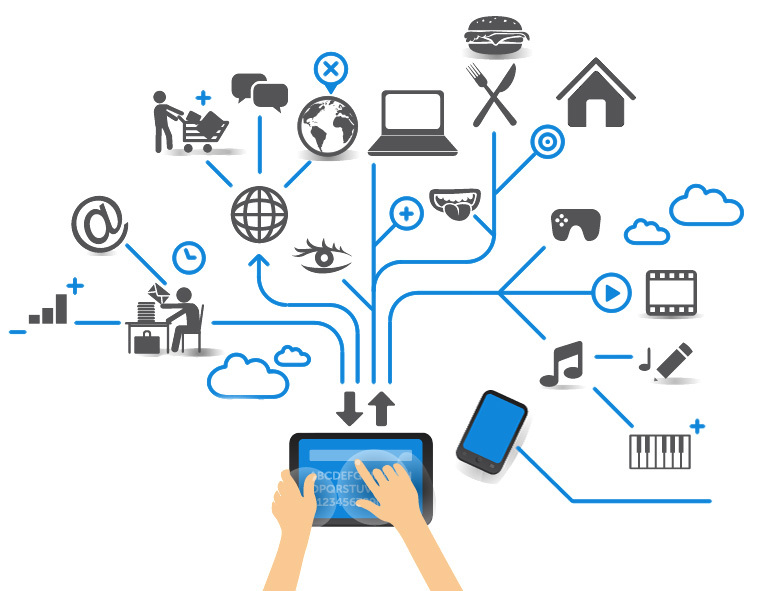 Internet of things or ‘IoT’ is the connection of physical devices and other items embedded with electronics, software, sensors, actuators, and network connectivity, to the internet. This list goes far beyond smart phones, tablets or computers and can include anything from kitchen appliances to automobiles or even heart-monitors! IoT connects everything from traditional devices like desktop and laptop computers, smartphones and tablets to a diverse range of devices and everyday things that utilize embedded technology to communicate and interact with the external environment, all via the Internet. For Example, Businesses can leverage ‘IoT’ applications to automate safety tasks (for example, notify authorities when a fire extinguisher in the building is blocked) to performing real-world A/B testing using networked cameras and sensors to detect how customers engage with products. 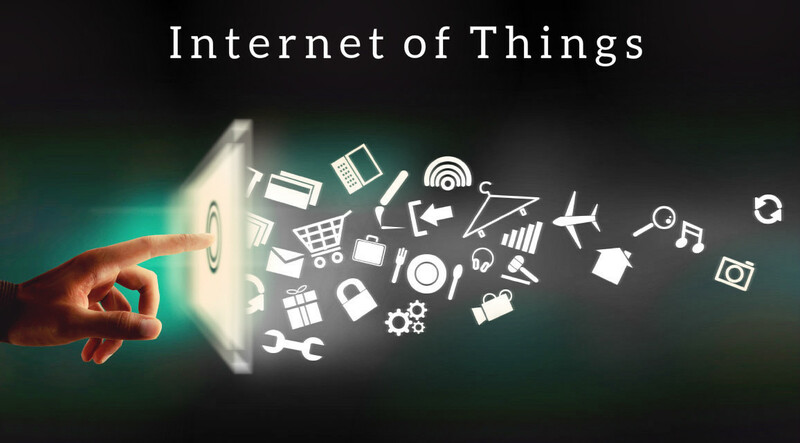 It is the most widespread application of ‘IoT’. The total amount of funding for Smart Home startups currently exceeds $2.5bn. This list includes prominent startup names such as Nest or AlertMe as well as a number of multinational corporations like Philips, Haier, Belkin, Amazon and Google. Wearables have found a way in to every home and every heart. Smart watches, fitness trackers make wearables a hot topic among tech and fitness lovers alike. From Apple’s Smart Watch to Sony Smart B Trainer, every wearable gives a great experience of Internet of Things. Of all the ‘IoT’ startups, wearables maker Jawbone is probably the one with the biggest funding to date. It stands at more than half a billion dollars! If you think Internet of things is limited to just Home you are wrong! From Traffic Light Management to waste management, From Water Distribution to Urban Security are all happening using ‘IoT’! And that’s what makes it 3rd best application of Internet of Things. Water utility companies are utilizing connected appliances and controls to track water levels, pressure, volume, flow and other metrics without needing to physically be present at tank and storage sites. Electric utility companies are now able to read subscribers’ meters without needing to physically visit each home. Imagine the effort and money saved by this application! The industrial internet is yet another Internet of Things application. While many market researches such as Gartner or Cisco see the industrial internet as the ‘IoT’ concept with the highest overall potential, its popularity currently doesn’t reach the masses like smart home or wearables do. The industrial internet however has a lot going for it. The industrial internet gets the biggest push of people on Twitter (~1,700 tweets per month) compared to other non-consumer-oriented ‘IoT’ concepts. Internet of Things ecosystem: All the components that enable businesses, governments, and consumers to connect to their ‘IoT’ devices, including remotes, dashboards, networks, gateways, analytics, data storage, and security. Physical layer: The hardware that makes an ‘IoT’ device, including sensors and networking gear. Remotes: Enable entities that utilize ‘IoT’ devices to connect with and control them using a dashboard, such as a mobile application. They include smartphones, tablets, PCs, smartwatches, connected TVs, and non-traditional remotes. Dashboard: Displays information about the ‘IoT’ ecosystem to users and enables them to control their ‘IoT’ ecosystem. It is generally housed on a remote. Analytics: Software systems that analyse the data generated by ‘IoT’ devices. The analysis can be used for a variety of scenarios, such as predictive maintenance. Data storage: Where data from ‘IoT’ devices is stored. ‘IoT’ devices connected to the Internet will more than triple by 2020, from 10 billion to 34 billion. ‘IoT’ devices will account for 24 billion, while traditional computing devices (e.g. smartphones, tablets, smartwatches, etc.) will comprise 10 billion. Nearly $6 trillion will be spent on ‘IoT’ solutions over the next five years. Businesses will be the top adopter of ‘IoT’ solutions because they will use ‘IoT’ to 1) lower operating costs; 2) increase productivity; and 3) expand to new markets or develop new product offerings. Governments will be the second-largest adopters, while consumers will be the group least transformed by the ‘IoT’.